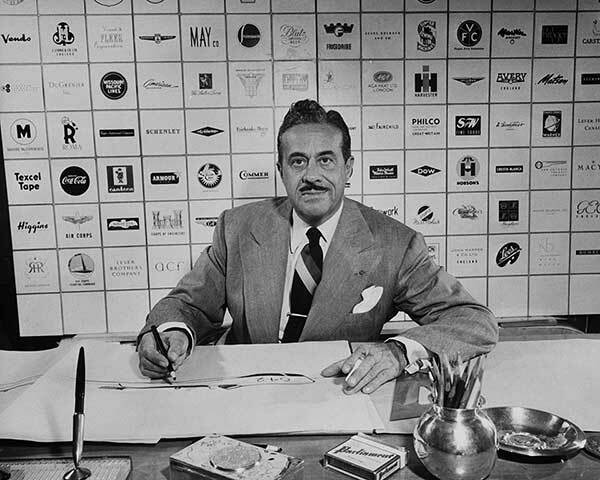 As one of the key designers in the 20th century, Raymond Loewy’s life as a designer across many disciplines provides proof for many that design is not limited to one industry or field. 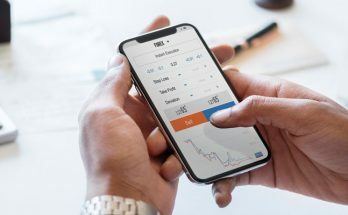 Because the designer is defined by many people as a problem-solver whose innovative designs sought to make the human life much easier, therefore his design guidelines are universal. 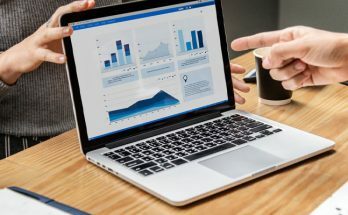 For example, the same usability rules are implemented in industries as different as graphic design, interaction design, and industrial design. Raymond Loewy was named the father of design in the 20th century because, during his life, he contributed many creative designs that shaped our lives during the 1980s. His designs did not only contribute to industrial design but extended to many other disciplines, including logo design and automotive design, and presented notable products during the ’80s, including Lucky Strike cigarette packs, the Coca-Cola contour bottle design, and logos for companies such as Shell, Exxon, TWA, and BP. Raymond Loewy (1893-1986) was born in Paris and received a degree in engineering while he was in the French army. In 1919, he emigrated to the United States, though throughout the rest of his life he moved back and forth between France and the United States. Raymond started his work as a window dresser for Macy and Saks Fifth Avenue, then moved on to work as an illustrator for Vogue, Harper’s Bazaar, Wanamaker’s, Saks, and Bonwit Teller. The first project of his own was to redesign the Gestetner duplicating machine. As mentioned above, Raymond Loewy’s designs transcended niches to touch other disciplines. 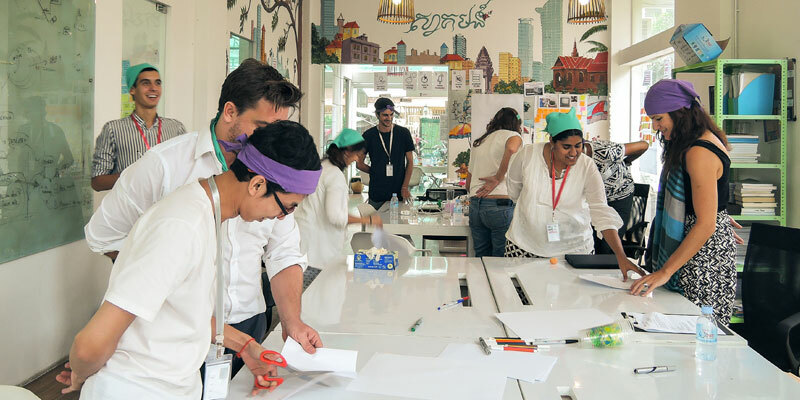 He created logos that can still be seen for Shell, Exxon, Chubb, the U.S. Postal Service, TWA, Studebaker, and the former logo for BP. He worked as a consultant for companies such as IBM, GM, BMW, and NASA. As mentioned on Coca-Cola’s website, Loewy played a role in forming the company’s modern look and designed or redesigned many of its products in the 20th century. One of his most remarkable designs was the Coca-Cola contour bottle featuring the white Coca-Cola logo. In 1955, he designed the first king-size bottle, and he designed the first Coke steel can in 1960. 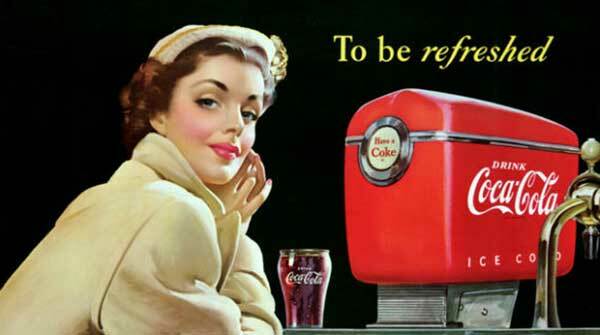 Loewy also contributed to designing Coca-Cola’s streamlined cooler, Dole Deluxe fountain dispenser, and Hobbs truck body. Raymond Loewy’s automotive portfolio includes designing the Pennsylvania Railroad’s S1 steam locomotive in 1936, the Greyhound Scenicruiser buses in 1946, and the Studebaker car design. In 1962, Loewy redesigned the U.S. Air Force One’s livery with the slate and cyan colors. Also, he added the presidential seal on both sides and the American flag on the tail. Included in his portfolio of artwork, Raymond Loewy designed other various projects, including the Coquelle Le Creuset kitchen set design and the eagle pencil sharpener that was honored by the U.S. Postal Service in 1970. 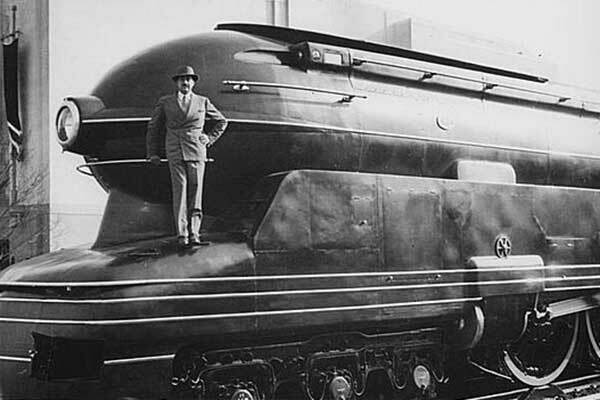 Raymond Loewy standing on one of his designs, the Pennsylvania Railroad’s S1 steam locomotive (image source: Wikipedia). During his life, he received numerous honors and awards for his designs, including the gold medal in transportation for the design of the GG-1 locomotive during the 1937 international exposition in Paris. Also, he received the Royal Designer for Industry Award in 1937 from the Royal Society of Arts in London. In 1980, he was named an honored citizen of France and one of the 100 most influential Americans of the 20th century by Life Magazine. Raymond Loewy’s life provides an example of a designer as a thinker and problem solver whose designs were marked and unified by his focus on both form and the function.